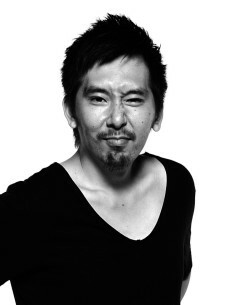 DJ Sodeyama is a DJ/Producer who has been a mainstay on the Tokyo Electronica scene since the early 90's. In 2006, his debut album "Metal Heart" caught the attention of those within the scene for its diversity and fresh approach to electronic music. It did not take long for this praise to reach Europe and he was soon signed by Marco Carola's label ZENIT and with the support of many of the planets leading DJ`s released 3 successful EP's on this label. Ever since his second album "Dual" was released in 2007, along with a remixes imprint "The:remix" collaborating with 14 Japanese producers from his own label NO:MORE REC. DJ Sodeyama was able to reel in the success with a hugely anticipated album release tour of Berlin. On his third outing DJ Sodeyama released "Now is the time" from Canadian label ARCHIPEL which hit the ground running with a release tour of Canada and was given fantastic support from the likes of the who`s who within electronic music in LAURENT GARNIER, LUCIANO, MATIAS KADEN, NICK CURLY and GLIMPSE to name a few.